The Florida Keys is home to five districts, each with their own personality and charm that make visitors feel like they are in another world. Growing up around fish, Chef Bobby Stoky quickly learned how to do it all, from catching to cleaning and even cooking them. In the summers, he would dive for lobster and in the winter, his family would set up nets to catch shrimp that they would then sell from a stand to locals and visitors of Key Largo. In 1982, his parents became the owners of Señor Frijoles Mexican Restaurant and so started Bobby’s path to becoming a chef. Head to Key Largo to stay in a magical-feeling an underwater hotel, or to scuba past schools of fish and submerged statues. Bobby recommends travelers looking for adventure stay in Jules Underseas Lodge. Submerged underwater, it is a truly stunning stay. Instead, if you are hoping to spend your time in the water rather than simply under it, consider Amy Slate’s Amoray Dive Resort. And finally, for couples who need a romantic getaway, book a stay at Key Largo’s Kona Kai. Beachfront bungalows offer the perfect amount of privacy in close proximity to the beach. 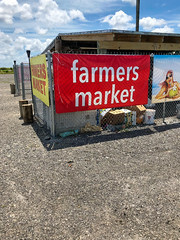 So what kinds of fruits and flavors can one find when they travel to Key Largo? Bobby could give us quite of list of food to be sure to try, but these are some of his favorites. 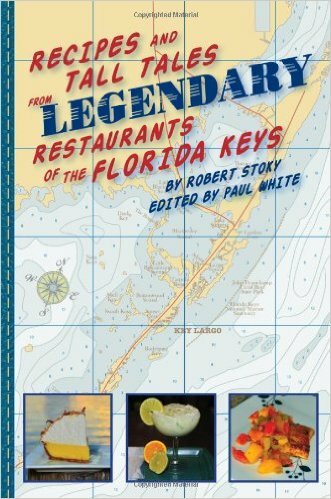 The Keys are famous for their fresh yellowtail snapper and stone crabs. 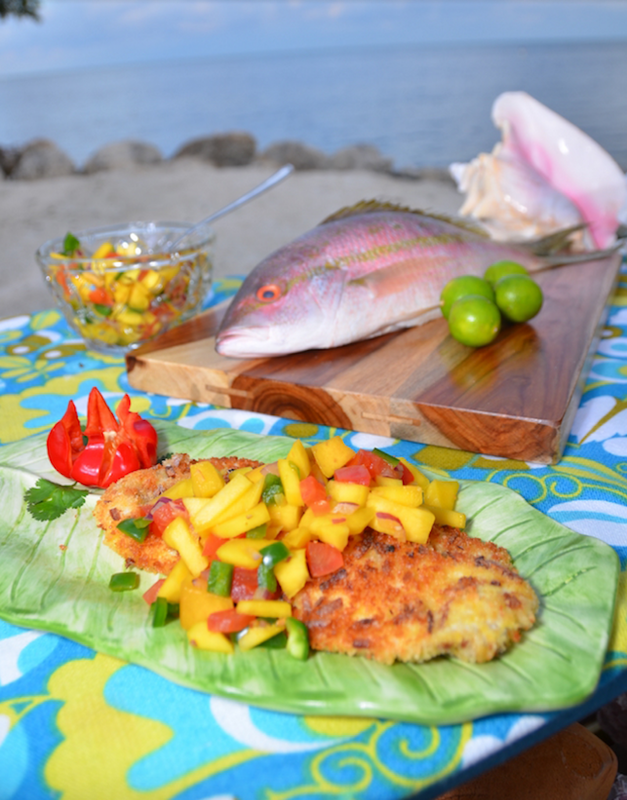 In his own restaurants, Chef Bobby especially loves to cook yellowtail snapper, right off the fishing boat, encrusted in onion and served with mango salsa. And on a hot day, he opts for something lighter like a grilled mahi-mahi. Native to the area, the Florida Keys spiny lobster looks similar to the typical lobster we are more familiar with, but the spiny lobster’s antennas are larger and thick. From November to June, have a bite of Key West’s Pink Shrimp. The bright crustaceans have a uniquely sweet taste that is easy to fall in love with. Fresh fish must be made with fresh flavors, and Bobby admits that visitors will find plenty of tropical fruits in dishes, like the Key lime, mangos, pineapples, starfruit, or dragon fruit. 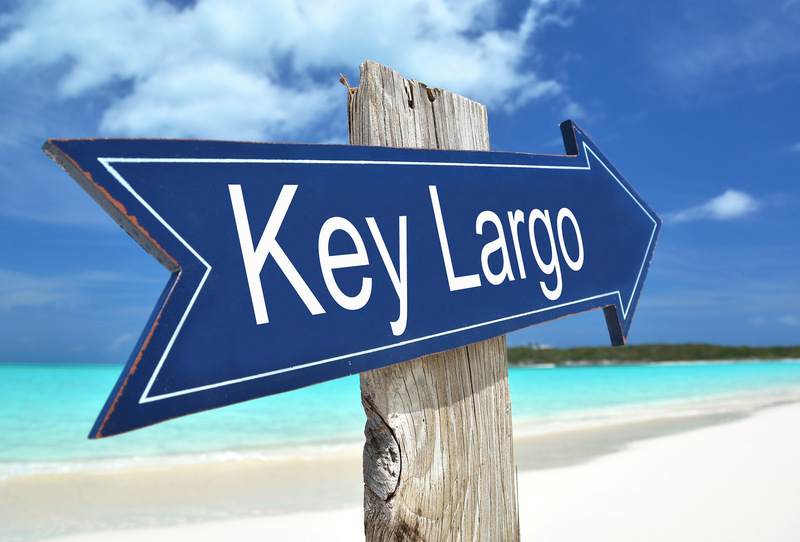 Also known as the Conch Republic, the restaurant menus of Keys Largo are loaded with dishes containing conch. Over the years, the locals have even come to be called Conchs. Although fishing restrictions off the coasts for conch are quite strict today to prevent overfishing, the seafood is still a well-loved tradition, even if that means bringing conch in from the Bahamas to keep the dishes alive. From conch chowder to conch fritters, conch salad, conch encrusted yellowtail snapper, and even conch eggs benedict; you can find just about anything with conch in Key Largo. Chef Bobby’s favorite way to eat conch is called cracked conch. Originating in the Caribbean, when done precisely, cracked conch is battered, fried and tastes sweet and tender. Bobby likes to serve the fried seafood with a tangy cocktail sauce or wasabi aioli. Head to Sundowners, Market 88, or Buzzards Roost in North Key Largo to try a rendition of Chef Bobby’s favorite cracked conch. 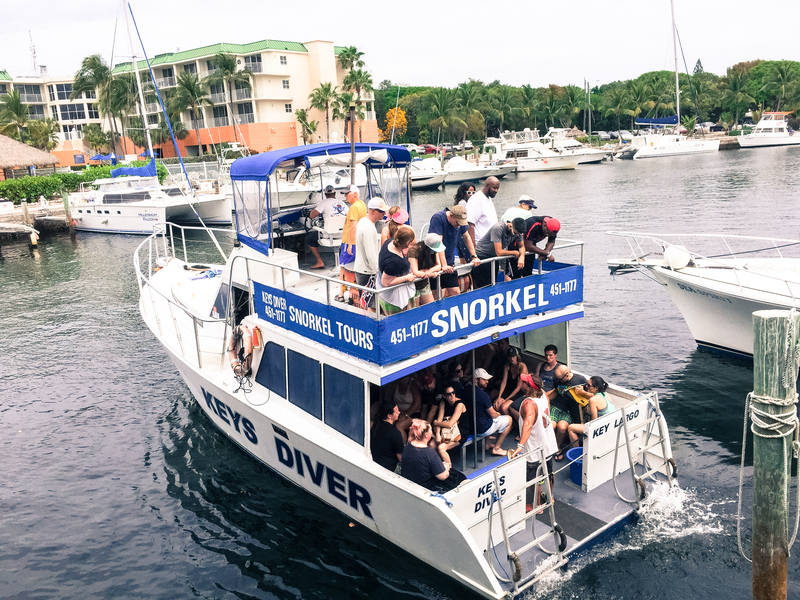 Before diving into a plate of Key Largo seafood, how about diving down below to see where the fish comes from? As a diver, Chef Bobby has grown up with the stunning reefs of the Florida Keys. His favorite spot to dive or snorkel is in North Key Largo off of Horseshoe Reef. There is so much marine life to be seen on the reefs of Key Largo, so when you come to the area, be sure to dive in and get a closer look. For an above the water experience, take a nature tour by way of kayaks through one of the mangrove channels that line the islands. From a boat, you can see colorful fish, impressive manatee, and an array of birds. Keep your eyes open; sometimes you will even see bottlenose dolphins or turtles. If you are heading out for a dive or a kayak adventure, start your day with a Key Largo breakfast. 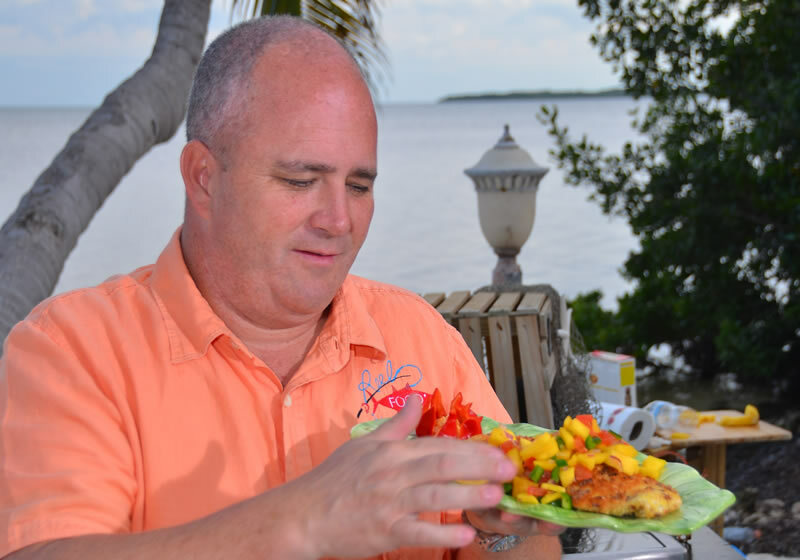 Chef Bobby likes to go to the Key Largo Conch House for a Key West shrimp, conch, crab or lobster benedict. Another favorite among the locals is The Hideout Restaurant. This hole-in-the-wall eatery serves a fish and grits breakfast, a dish that was once the traditional morning meal of the Conchs. Don’t forget dessert! 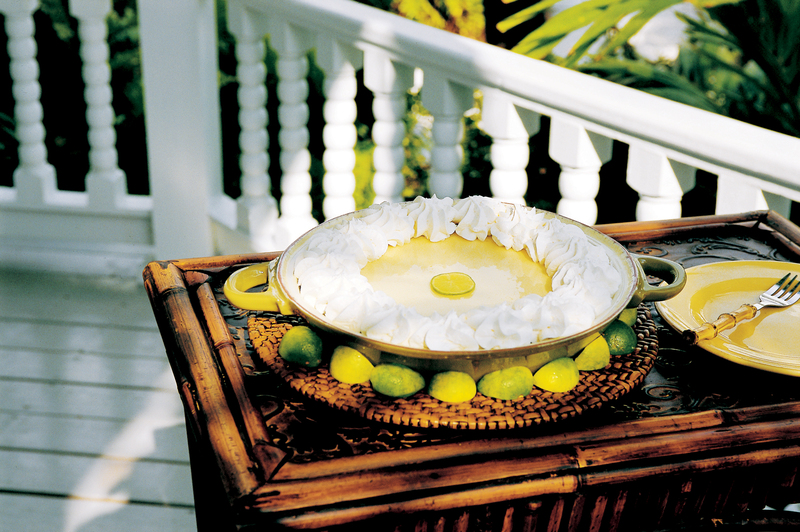 In all of the Keys, the local restaurants are fanatical about serving the best Key Lime Pie, and so visitors will find many different versions of the traditional sweet. At Chef Bobby’s Sundowners restaurant, they serve the pie piled high with meringue, the traditional topping. From frozen key lime pie to chiffon-style or a custard pie that is the original, there are so many different variations. Bobby’s favorite pie, besides the one he makes in his restaurants, can be found at Key Largo Fisheries Bayside Café. Not too sweet, nice and tart, and served plain without meringue, this pie is a classic and can even be shipped around the country. 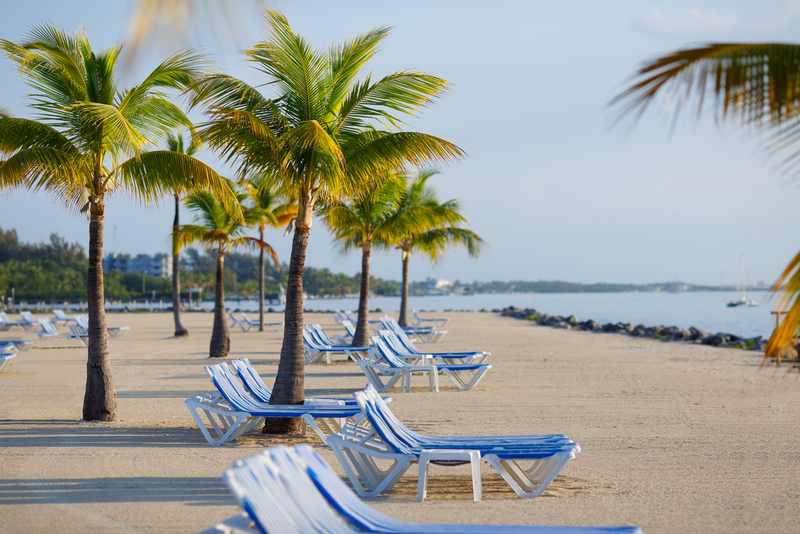 A great feature of Key Largo for any culinary traveler is its lack of chain restaurants. Chef Bobby proudly admits that most of the restaurants found in the district are owned and operated by locals who are committed to serving great food. Besides one of his restaurants, Bobby loves to take visitors to Key Largo Fisheries Backyard Café for lunch. Sit at a table on the deck overlooking one of Key Largo’s remaining commercial fishing fleets while dining on fresh Florida Keys Lobster, Yellowtail snapper, Key West pink shrimp, and fresh stone crabs. Chef Bobby’s favorite is the lobster croissant BLT! One of Chef Bobby’s all-time favorite recipes is this yellowtail snapper. The onion crust is in this dish is also great with shrimp, scallops, lobster, or chicken, but Key Largo yellowtail is fantastic. Then using a kitchen knife or a food processor, chop onion rings until they are about the size of the panko breadcrumbs. Place chopped onion rings and panko breadcrumbs into a medium bowl and mix well. Dredge the fish in the remaining flour, then through the beaten eggs, and then press yellowtail filets into the onion ring and panko breadcrumb mixture. Place a large sauté pan on the stove and add enough oil just to coat the bottom of the pan. 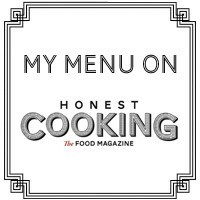 Place battered filets into the sauté pan and fry over medium-high heat for 3-4 minutes per side, or until onion crust is lightly browned, and fish is white throughout. Top with Key lime butter and mango salsa. I;m so so hungry …… great article …. 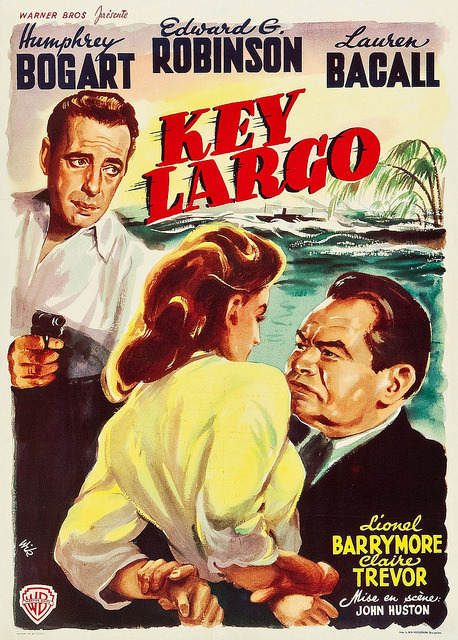 I am off to Key Largo! Beautiful post! I just got back from Key Largo 🙂 Check out my post below if you’re interested and I hope you will follow back!